Thermacore, Inc., announced today that Thermacore Europe is making tremendous progress as lead partner of an 8.3 million euro European research project, NanoHex. 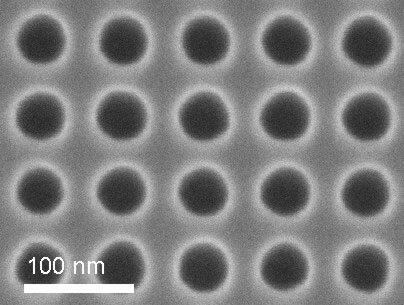 The team is tasked with developing a next-generation liquid coolant that incorporates purpose engineered nanoparticles for more efficient cooling. Synopsys, Inc., a world leader in software and IP for semiconductor design, verification and manufacturing, today announced that the Galaxy Implementation Platform has helped Infineon Technologies AG achieve first-pass silicon success of the 40-nanometer baseband processor for its X-GOLD 626 3G wireless analog and digital system-in-package. EV Group (EVG), a leading supplier of wafer bonding and lithography equipment for the MEMS, nanotechnology and semiconductor markets, today announced that Morocco-based wafer-level camera manufacturer Nemotek Technologie has placed a repeat order for EVG's bonding and UV nanoimprint lithography (UV-NIL) systems - the EVG520IS and IQ Aligner. The new solid-state Axiom from Solus Technologies delivers 0.5 Watt continuous wave performance on the important 514 nm green line, allowing Axiom to replace legacy Argon-Ion systems. The World biggest semiconductor foundry from Taiwan has placed a combined order for the Mask Defect Repair System MeRiT HR 32 and the Aerial Image Measurement System AIMS 32-193i from Carl Zeiss to prepare for the production of next generation high-end photomasks. AIXTRON AG today announced an order for one Black Magic deposition system from Purdue University's Birck Nanotechnology Center in West Lafayette, IN, USA. The highly flexible multi-channel AS8510 features unique zero offset for simultaneous voltage, current and temperature measurement in conventional, hybrid or electric vehicles. 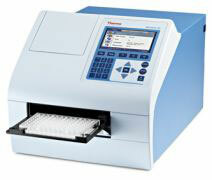 Thermo Fisher Scientific Inc., the world leader in serving science, today introduced the new Thermo Scientific Multiskan GO UV-Vis spectrophotometer offering free wavelength selection for both 96- and 384-well plates and various types of cuvettes. Samsung Electronics Co., Ltd., a world leader in advanced memory technology, announced today that it has begun shipping samples of the industry's highest-density memory module for server systems. Applied Materials, Inc. today announced the semiconductor industry's first integrated low temperature pre-clean for epitaxial (epi) applications which is available on its market-leading Applied Centura RP Epi system. Applied Materials, Inc. today added to its extensive line of 3D chip packaging solutions with the launch of its Applied Producer InVia dielectric deposition system. Applied Materials, Inc. today unveiled its Applied UVision 4 wafer inspection system, enabling chipmakers to detect yield-limiting defects in the critical patterning layers of 22nm and below logic and memory devices. CRAIC Technologies, a leader in UV-visible-NIR microscopy innovation, today introduced its Universal C-mount Adapter (UCA) for Microscope Cameras and Spectrophotometers. The title of Castro's presentation is 'Towards Durable Antifog Coatings for Plastics'. The talk will be an analysis of why the usual approaches to making antifog coatings have a negative effect on abrasion resistance, including a review Nanofilm's advanced research in the field. Eulitha has now added nano-hole arrays to its standard product line to make high-quality 2D patterns affordable. The patterns, chosen because of frequent customer inquiries consist of holes on rectangular grids. In a recent publication in the prestigious Journal of the Americam Chemical Society Arturo Lopez Quintela and co-workers have demonstrated that Silveratomic quantum clusters, with two or three silver atoms, supplied by Nanogap, show electrocatalytic activities that are not found in nanoparticles or in bulk silver.